As a business owner, you need to have a set budget in mind on how much you are willing to spend on your knowledge storage or catastrophe recovery. With a budget in mind, you can identify which of these options you feel is the right match for you now & moving forward. Colocation vs Cloud is definitely something you need to look in to, learn as much about as you can & then identify which you will select based on your company's unique needs & requirements. Looking a colocation, you will need to discover a reputable knowledge middle company that can offer you this service. If you are wondering how colocation vs cloud, then you will find that with this particular option you buy & maintain your own hardware. The knowledge middle will rent you space, you share a building with a host of other companies, each of you having your own space to store your infrastructure from your server to switches & computers. Cloud on the other hand can save you money & is the ideal choice in the event you are basically looking for a catastrophe recovery solution. With the cloud, the knowledge middle will be responsible for the infrastructure & maintenance thereof, which can save you time, money & resources in the long run. With colocation you are responsible for meeting the knowledge centers protection & compliance regulations. This can work out more pricey for smaller companies as you rent the space, pay for power usage & you buy & maintain your own hardware. It is ideal for companies who need to store all their knowledge at the middle on their own protected servers away from the office surroundings. The provider will manage all the hardware, servers, storage, cooling & power, which is so beneficial. You pay for the space you need. Most of the cloud services are modular, so you can start with the amount of knowledge storage you think you need & increase it when you find you are walking out of space. When it comes to colocation vs cloud, you will find that both providers work in a similar pattern in terms of what they do provide. Both will offer you storage space, both will offer you power & lovely up time. They will also both provide chilling, ensuring systems run smoothly at all times. 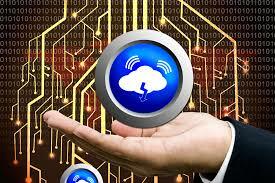 Plenty of company owners are still concerned about using the cloud due to safety reasons. With advances in expertise & anti-virus, you will find that whether you select colocation or cloud, your knowledge will be safe, only accessed using your passwords that you have set up. Of coursework the benefit is that every staff member that is given access has their own password, so teams who do sales won't be able to alter accounts, while accounts departments won't be able to go through the management reports. You stay in complete control at all times. This is not a call that ought to be taken lightly. Speak to a professional knowledge service provider & identify which of these options is going to be more beneficial to your company in the long run.